With a stay at Holiday Inn Oceanfront at Surfside Beach in Surfside Beach (South Myrtle Beach), you'll be within a 15-minute drive of The Market Common and Family Kingdom Amusement Park. This beach resort is 8 mi (12.8 km) from SkyWheel Myrtle Beach and 11.2 mi (17.9 km) from Ripley's Aquarium. Make yourself at home in one of the 133 air-conditioned rooms featuring flat-screen televisions. Complimentary wired and wireless Internet access keeps you connected, and cable programming provides entertainment. Bathrooms have shower/tub combinations and hair dryers. Conveniences include phones, as well as safes and desks. Don't miss out on recreational opportunities including an outdoor pool and a fitness center. This resort also features complimentary wireless Internet access and a banquet hall. Enjoy a meal at the restaurant, or stay in and take advantage of the resort's room service (during limited hours). Quench your thirst with your favorite drink at the bar/lounge. Full breakfasts are available daily from 7 AM to 11 AM for a fee. 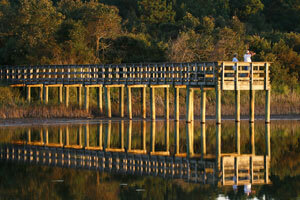 The preferred airport for Holiday Inn Oceanfront at Surfside Beach is Myrtle Beach, SC (MYR).